Cancer is a frightening disease and one that’s difficult to talk about for many people. 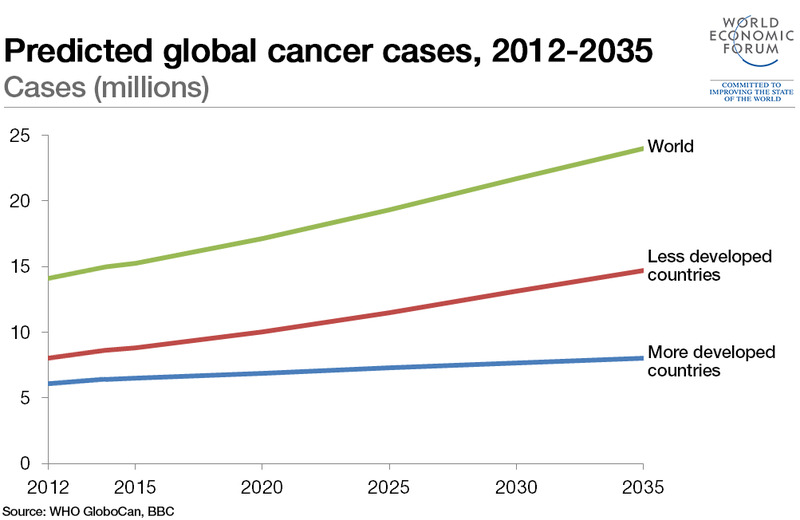 Global rates of cancer are increasing, mostly as a result of longer lifespans. While recent medical breakthroughs have improved the outlook for many patients, a comprehensive cure remains elusive. It’s perhaps not surprising that the language that surrounds cancer has taken on a philosophical and even military tone. When a celebrity is diagnosed the headlines will scream about their "battle" or "fight" against cancer. Research into the disease is dubbed "the war on cancer". But can this type of language influence the way cancer is actually treated? Mahesh Srinivasan, an assistant professor in psychology at the University of California, Berkeley, believes it can. He studies the way language affects the way we think and even how we behave. His main focus is on the flexibility of words. The word "war" is a classic example. War describes a catastrophic and frequently fatal experience. Battles and fights lead to death and injury. But we use the same word to describe the treatments for cancer. When Mahesh addressed the Word Economic Forum in Davos, he asked if changing the language around cancer could change our approach to treating it. “So, for instance, if we’re told that this patient is battling cancer, the language of war might encourage us to consider aggressive treatments for the cancer. ‘’In contrast, hearing that the patient is on a journey might actually discourage short-term invasive treatments. Mahesh has studied a number of the 6,500 languages spoken around the world and discovered similar patterns of flexible word use exist in all. He argues that a deeper understanding of the flexibility of languages could help us to narrow the divide between nations and cultures and help us to overcome some of the biggest challenges facing humankind today. "So by understanding how people around the globe talk about terrorism, climate change or economic policy, we can better understand their underlying assumptions and biases. And this could lead to greater international consensus. Our ability to redefine the role of an object in different contexts allows us to see problems in new ways and to come up with insightful solutions."